I am a UCLA grad and football fan and am honored to share my thoughts of Joe Roth just hours before todays kickoff of the Joe Roth Memorial Game between UCLA and Cal. I watched many of Joe's games when I was an undergrad at UCLA and later when I attended Univ. of San Francisco Law School. Joe was quite simply the best college quarterback I have ever seen--then, and now. He was graceful and fluid in the pocket. His footwork and delivery were impeccable. Beyond that, he was the true definition of a student-athlete. I grew up in Eastern Washington state and was a WSU Cougar fan in my youth. My father and I would drive 2 hours to Pullman and Spokane on autumn Saturdays to watch our beloved Cougars. I remember Tom Roth who quarterbacked the Cougars to an improbable 7 and 3 record in 1965 and were nicknamed the cardiac kids who were coached by Bert Clark. Years later I wondered if Joe and Tom were brothers. Today, over 31 years later, I have that answer thanks to this website. I thank Cal for keeping Joe's legacy as vibrant today as it was over 30 years ago. He remains a hero and a role model. Joe was the QB my senior year. My buddy (who was to become my brother in law 22 years later) introduced me to him after Sunday Mass at Newman Hall. He seemed like a very humble and quiet guy. He died the year after I graduated. I was at Brennan's at the foot of Univeristy drinking when I saw his picture on the TV behind the bar on the 10 o'clock news. Since football season was over (was it February? ), I knew immediately that the news was not going to be good. 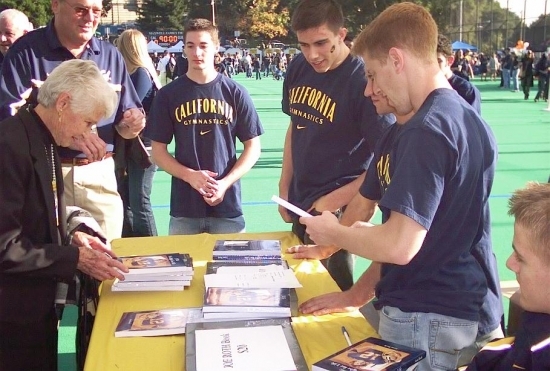 I was in the Cal Band from 1972-1975 when we came ever so close to going to the Rose Bowl (darn you John McKay). As such, I always thought of Joe as "my quarterback." It is hard for me to imagine that it has already been two years since I got to spend a remarkable afternoon and evening with Joe's parents, Lena and Larry, his brother John and John's daughter Ashley. This was my "reward" for having worked behind the scenes for over 10 years with the Roths and the Cal Athletic Department to get copies of Lena's book, "Joes' Fight for Life" republished. To see the look on the Roths' faces when they got to see the memorial locker for the first time and Lena's joy as she held a copy of the book, signed hundreds of copies for fans who all had a story to share was a memory I will cherish forever. From the point I first made contact with Lena in the mid- 1990's until the day we delivered the new books in 2006, her quiet encouragement and appreciation were always accompanied by a question, "Why are you doing this?" And my answer was always the same, "Joe was your son but he was my quarterback." 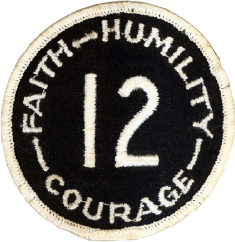 As we approach another Joe Roth Memorial Game vs. Ucla on October 25, I will be in the stands wearing my #12 commemorative jersey and pointing to the sky thanking Joe for the glorious memories and the opportunity to keep his story alive. GO BEARS! In 1976, I was pregnant with my son and huffed and puffed my way up to the stadium to watch Joe play. My son was born in January of 1977 and it was just a few weeks later that I learned of his passing. I was shocked that he was able to play at such a high level while seriously ill and not let anyone know. Since then, I have tried to live my own personal life as he did --- I don't use my problems as a means of getting sympathy or as an excuse for mediocrity. I always strive to be the best that I can be.